Whether that is addressing workforce needs, exploring available State programs, or facilitating new opportunities College Station is always interested in maintaining a direct dialogue with existing businesses. to promote continue and expand their presence within the community. The Brazos Valley Small Business Development Center consultants help business owners develop strategies, attract customers, increase sales and improve productivity and profitability, all at no cost. Their consultants have extensive, practical experience in varied fields, including marketing, finance, retail and management. Recognizing the International Economic Development Council (IEDC) data standards as the industry standard for the site selection process, the City of College Station has prepared these data standards for convenience. 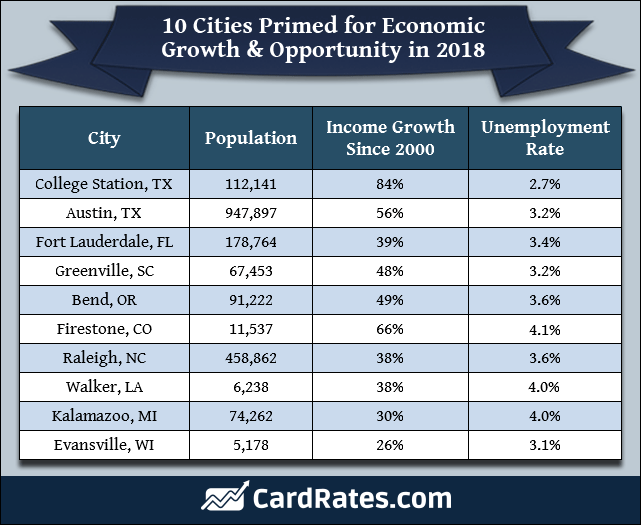 Whether looking for information on College Station’s demographics, labor force, transportation corridors, taxation, utilities, available buildings & properties, or would like to research top industries, you will find the information here. If you don’t find what you are looking for, please do not hesitate to contact us. The Brazos Valley Small Business Development Center (BV SBDC) is part of a national SBDC program that provides free business consulting and affordable training seminars to small and medium-sized business owners and managers. BV SBDC consultants help entrepreneurs assess their business idea and work through general start-up questions as well as basic management, marketing, financial and operational business issues. The Brazos Valley SBDC can also assist you in preparing the necessary documents to apply for either a Small Business Administration (SBA) guaranteed loan or a conventional loan. Their consultants help existing business owners develop strategies, attract customers, increase sales and improve productivity and profitability, all at no cost. The BV SBDC has extensive, practical experience in varied fields, including marketing, finance, retail and management. The Brazos Valley SBDC also offers affordable training seminars on business topics for start-up and preventure entrepreneurs. The Research Valley Innovation Center (RVIC) is a science and technology incubator/accelerator formed by The Research Valley Partnership to help early-stage ventures transition into successful businesses. The RVIC will grow early-stage companies through advisory services, a service provider network and physical “incubator”/”accelerator” space. Seed Sumo, located in Bryan/College Station, TX is a mentorship-driven accelerator that will assist young entrepreneurs with turning their early-stage startups into successful businesses. Seed Sumo runs a three month long program in Bryan/College Station, TX once each year, where selected companies get $20,000 – $50,000 in seed funding, in exchange for 6-10% equity. Seed Sumo founders also get great perks such as free hosting, world-class branding services, finance/legal counseling , an amazing place to work, 100 days of intensive top-notch mentorship, and a massive network of connections. Startup Aggieland is a resource for all students enrolled at Texas A&M University in College Station. Any major. They offer free walk-in assistance during office hours or after-hours by appointment. Startup Aggieland does not take equity stakes in student startups. Students retain control of their intellectual property. Strategic legal partners provide free trademark protection and preparation of provisional patents for patentable IP. They offer a student-managed seed capital fund for our startups. College Station is in an envious position – the presence of more than 50,000 students provides an affordable labor force for retail businesses and also brings outside money into the local economy. This population represents a large young population with significant discretionary dollars to spend has helped bring retailers and restaurants to the College Station not otherwise supported by the local market, thereby keeping more retail expenditures in the community. The City of College aims to continue to recognize the significance of retail expenditures to the local economy, will ensure that locations are ready to accommodate the development of such opportunities, and that the City remains responsive to an ever changing market.